Gary has extensive experience counseling clients of all types and sizes on the financial consequences of various transactions, restructurings and securities offerings, and advising generally on strategic joint ventures, mergers and acquisitions and a wide array of liquidity transactions, with particular focus on US and International taxation. He provides counsel to several significant family offices in relation to structure and investments. Gary has over 30 years of legal experience, which has included acting as Chairman of the Tax Department of the international law firm, Kaye Scholer LLP. 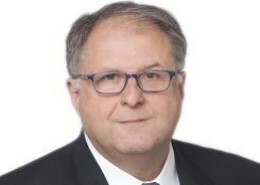 Prior to that, he headed the U.S tax practice at another significant international Law firm and was an International Principal of Arthur Andersen LLP. In 2013, Gary left “big law” to become a founding member, President and Managing Director of Alchemy Capital Planning LLC, a high-level boutique advisory and investment firm. He also is Senior Counsel at Dentons, the world’s largest law firm. Additionally, he serves on a variety of boards and is Vice Chairman of Ivanhoe Pictures, one of the producers of the hit movie “Crazy Rich Asians”. Gary has written and lectured extensively on various topics, including the efficient structuring of business investments. He has co-authored the chapter on cross-border tax issues in US Taxation of Foreign Controlled Business and the chapter on financing and investment products in The New Era of Investment Banking. Gary was recommended as a leading practitioner in Chambers USA: America’s Leading Lawyers for Business (2009), (2010), (2011) and (2012) and (2013). He also is recognized in Legal Media Group’s Guide to the World’s Leading Tax Advisers as a leading tax practitioner.